CabinWatch, a camera with night vision lets you see the back seats through the infotainment screen. HondaVac, an in-car vacuum to help with any messes while you’re on the go. Rear Entertainment Systems, to ensure the kids have something to watch on your drives from Anaheim Hills to Mission Viejo. 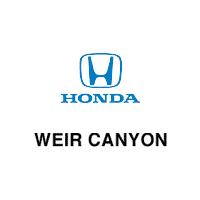 If you’re ready to explore our 29 new Honda Odyssey vans for sale, simply contact Weir Canyon Honda today. We’ll help you through the leasing or financing process. Where Can I Find a Honda Odyssey For Sale? If you have any questions about the new Honda Odyssey – or, if you’d like to schedule a test drive – feel free to contact us from the comfort of your Riverside home.